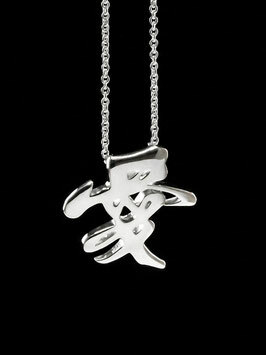 Ài is a character that expresses movement and togetherness. 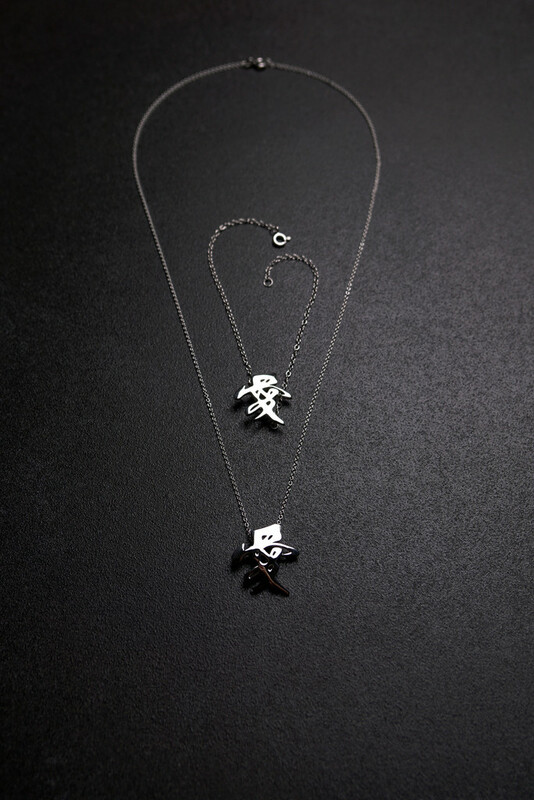 Perhaps you can see the couple dancing to their favourite song, the mother looking after her child, or “Xin” (心), the Chinese character for “heart” emerging from the design. 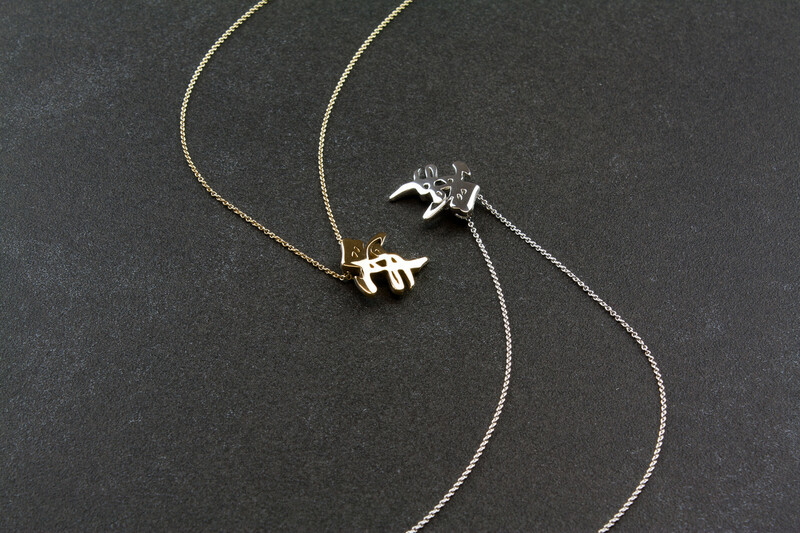 This piece embodies the caring and passionate love that a couple feel for one another. 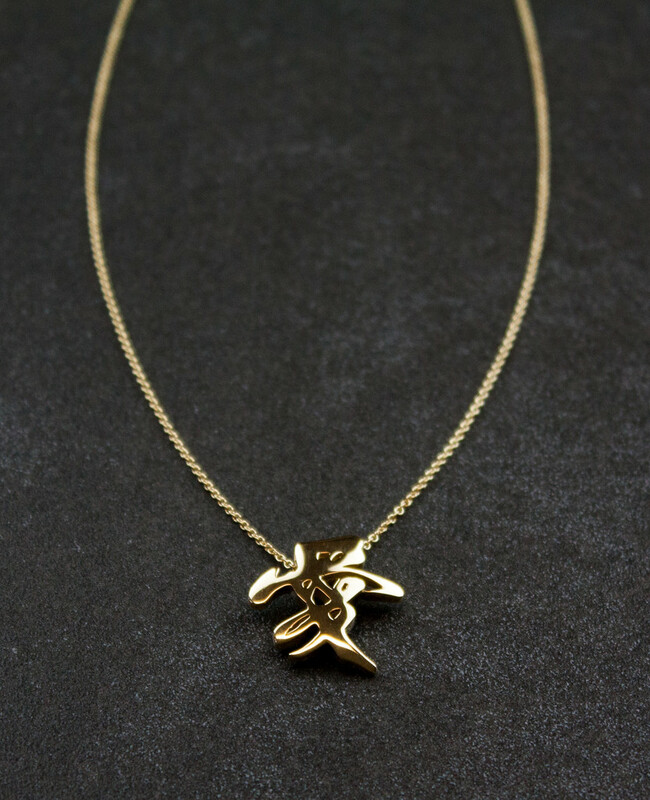 The Ài pendant in 18ct solid yellow gold on a 45 cm (18") 18ct chain. 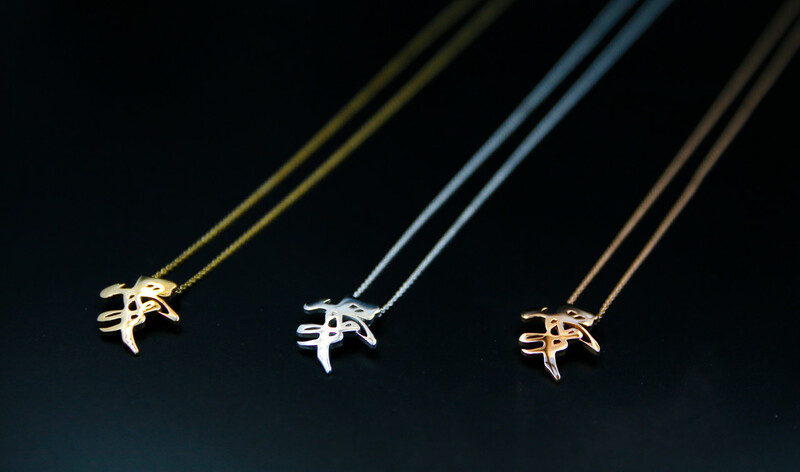 All of our gifts come beautifully wrapped with handmade paper and packed in our branded boxes. 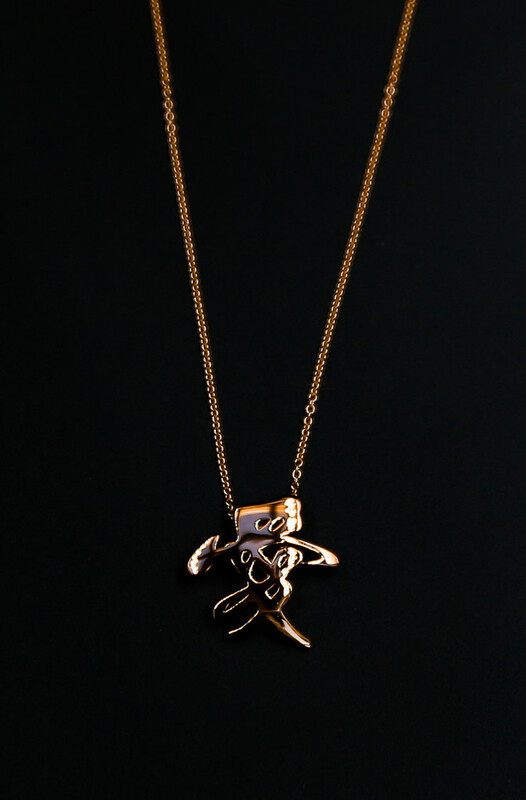 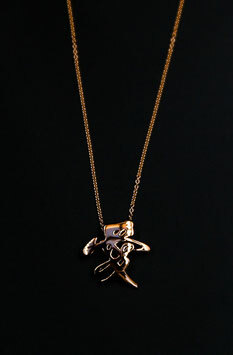 The Ài pendant in 18ct solid rose gold on a 45 cm (18") 18ct chain. 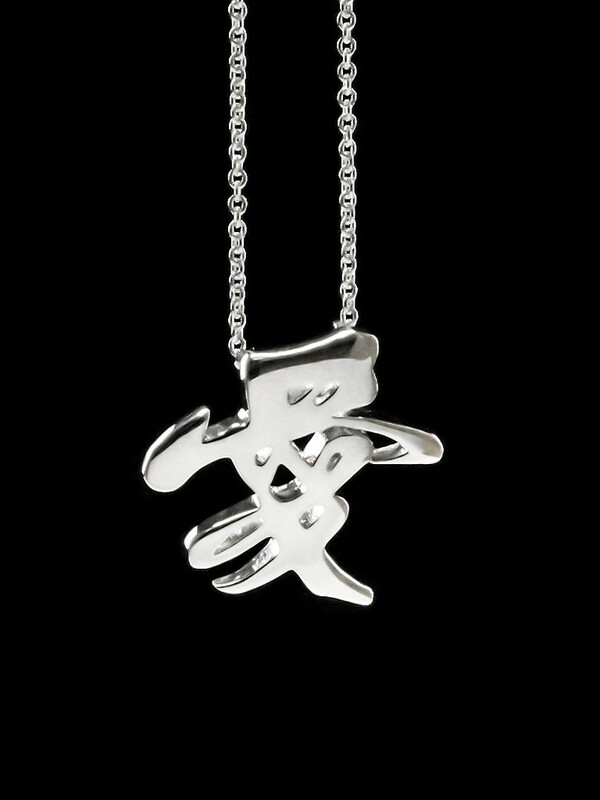 The Ài pendant in sterling silver on a 45 cm (18") chain. 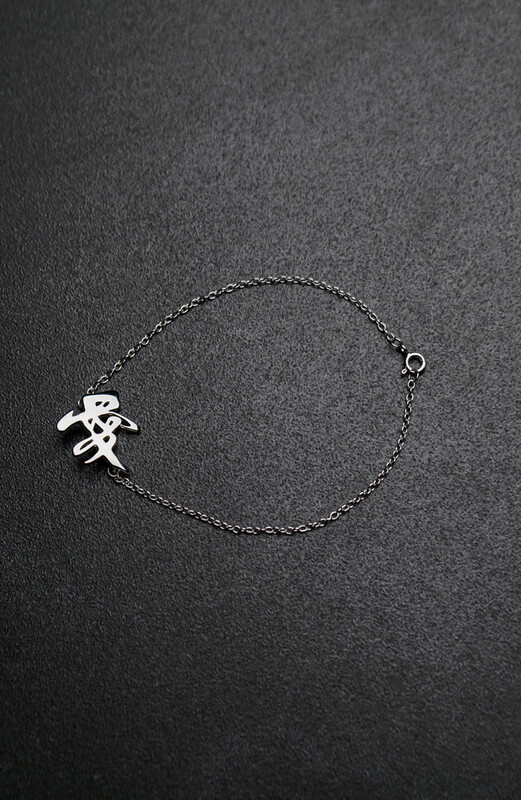 This piece looks brilliant on the wrist and the classic design of the Chinese calligraphy flow around, this piece is suitable for all occasion. The Ài Bracelet in sterling silver on a 16 cm chain with extension. 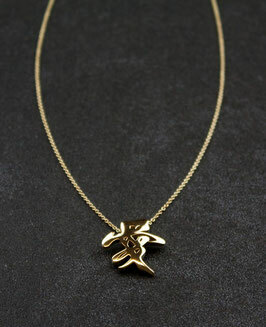 Note: If the item is a gift, please request a gift receipt and provide us your gift message in the "Notes about this order" in your Shopping Cart. 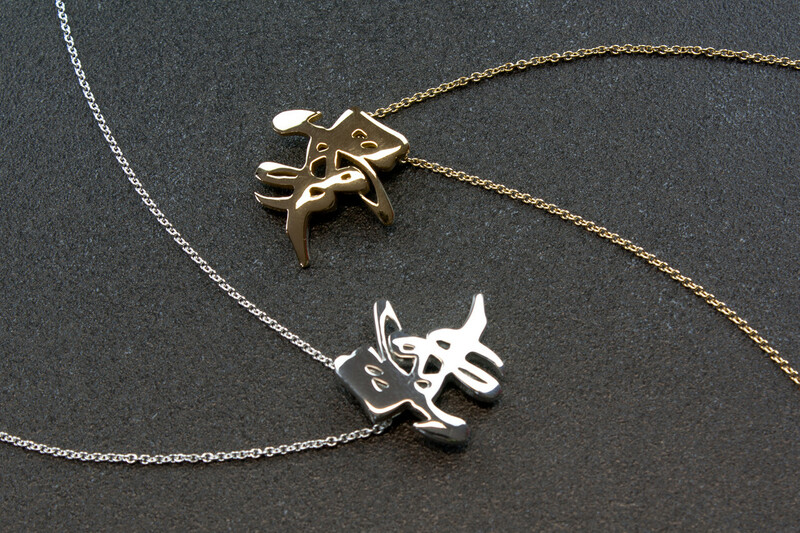 Kewei Design is a British brand creating jewellery inspired by traditional Chinese arts. 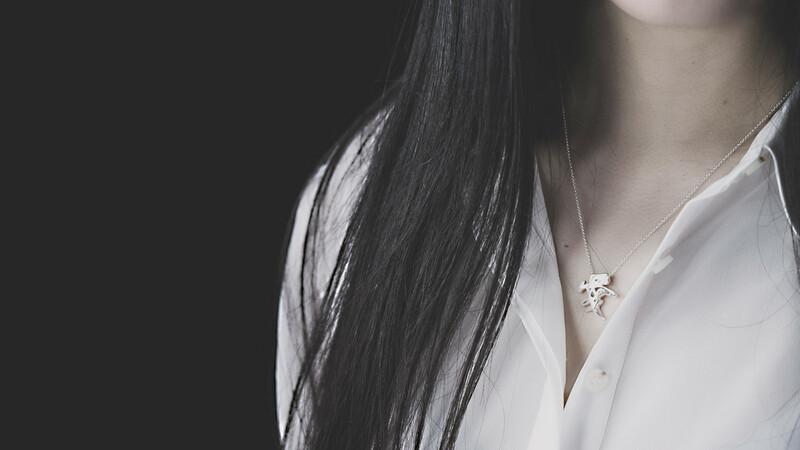 All pieces are manufactured inside the United Kingdom.